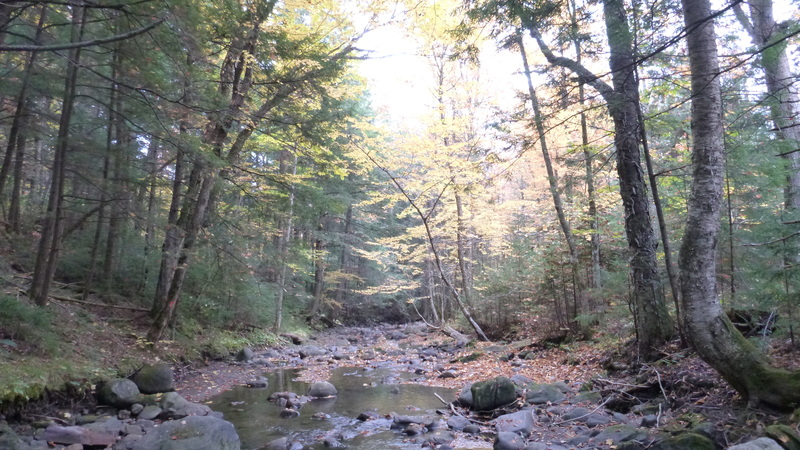 HANOVER, NH Â­ Dartmouth is supporting a local conservation initiative by placing an easement on its 700-acre property in Corinth, Vermont, located about 35 miles northwest of campus. Given to the College in the 1920s, the property is in an area with highly productive forest land prioritized for conservation by the non-profit Orange County Headwaters Project (OCHP). Dartmouth President James Wright completed the transaction on Fri., Dec., 19, 2008, with representatives of the OCHP and the Upper Valley Land Trust (UVLT). Timber harvesting activities on the property will continue. “It’s a beautiful piece of land, and it’s one of our more productive sites,” says College Forester Kevin Evans, who notes that due to the elevation the trees are mostly sugar maple, yellow birch, and white ash hardwoods. 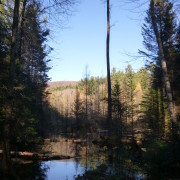 In the 1990s, white ash logged from the property was used in building the new McLane Family Lodge at the Dartmouth Skiway in Lyme, N.H. Other rights retained by the College include the ability to construct and maintain trails for hiking, cross-country skiing, biking and other recreational activities, to construct a limited number of supporting recreational structures, and to use the property for various research and educational purposes. Located at the headwaters of three rivers Â­ the Waits, the White, and the Winooski Â­ the Orange County headwaters region is home to a large number of working farms and forests. The area’s significant wetlands, miles of streams, and extensive woodlands provide especially diverse habitat for plants and animals. Additionally, the Environmental Protection Agency determined that the Eastern Small-Footed bat, one of the state’s five most endangered mammals, lives in this area.